5 Dead-Simple SEO Hacks to Kickstart Your SEO - More Traffic. More Leads. More Business. SEO is a big job that’s never finished. Long hours creating and optimizing content, and then marketing your content with social media, email and link building. SEO hacks are quick fixes that will give your content a big boost. 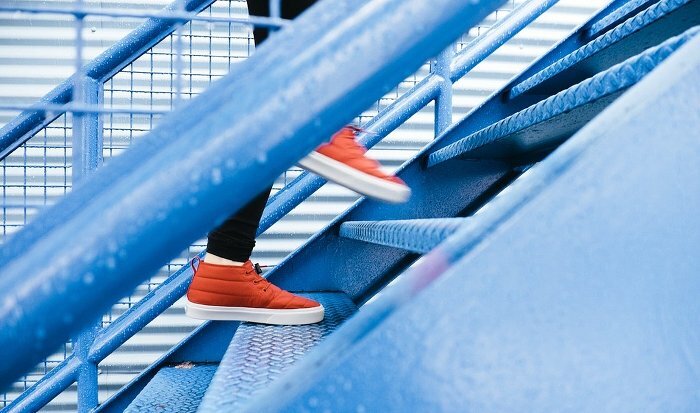 Here are some common SEO hacks that are easy to do and should show quick results. Google can’t read (although it’s darn close in my opinion). Google really just looks at your page and creates an algorithmic outline. Google knows what words are important by where they are within the context of your page and what weight you give them. You give your content weight by adding tags like the “Header Tags”, “Subhead Tags” and “Alt Tags”. Try to add your keywords to your tags where appropriate. Keep it readable, but look for places to add keywords instead of generic phrases. There are other lesser tags, but we’re going to focus on the Top 3. The Header Tag describes to Google the topic of your page or post. This header tag should always be your focus keyword. I embedded my focus keyword in the title of this post is “5 Dead-Simple SEO Hacks to Kickstart Your SEO”. On WordPress the “Header Tag” is also the “Title Tag”. Subhead Tags keywords should be keyword variations on your focus keyword. Here are some keywords we’ll weave into the Subhead Tags and body copy on this page. I underlined the keywords in red in the post to illustrate how this works. Alt Tags are descriptions added to the image, but are not visible to the visitor unless the image doesn’t load. 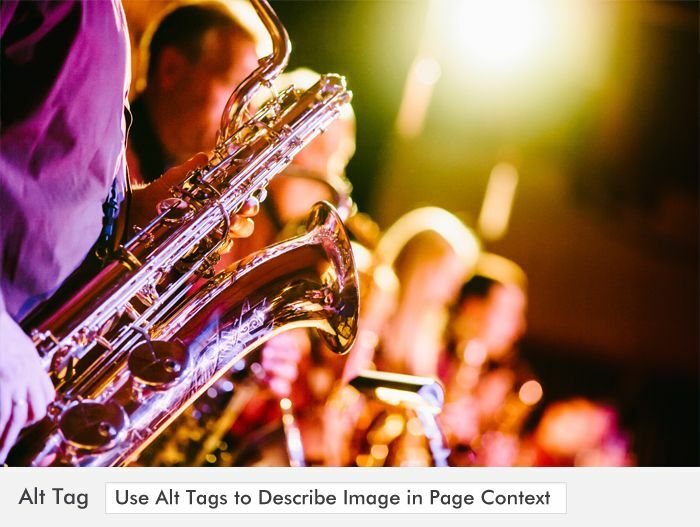 The Alt Tag tells Google what the image is and how it’s relevant to the page. This Alt Tag for this image is “Use Alt Tags to Describe Image in Context of Page”. This tells Google that the image is about “Alt Tag Usage”. This is how the Alt Tag for this image looks in the code for the page. We all know that backlinks (inbound links) very important for SEO. Google sees people linking back to your website as a vote of confidence for your content, and establishes you as an authority. But Google also knows that authority websites will talk about other websites and link out to them (outbound links). Be sure to include outbound links (where appropriate) in your content. Be sure that most of your outbound links are “nofollow” links. Every link going out from your website leaks a little “link juice”, which means that it takes a bit of value away from your website and adds it to the website you linked to. Adding a “nofollow” to some of your outgoing links will tell Google not to follow the link. This keeps the value of your content on your website. This is what the code looks like for a “nofollow” link. As Matt Cutts said, the point is not to look natural but be natural. So don’t “nofollow” all the outbound links. Add “nofollow” to large websites that don’t need the help like Amazon, Facebook, Forbes etc. Compressed image: on the left is the original, on the right is compressed. No visible image loss and the image is 76% smaller than the original. 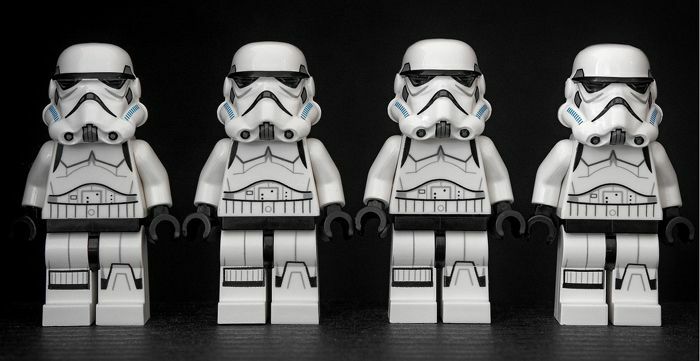 One of the easiest SEO hacks you can do is image compression. Image size has a real impact how fast your websites loads. This is important because, for Google, it’s “Mobile First”. If your page is not fast on phones, Google will likely drop you in the rankings in favor of other websites that load faster. 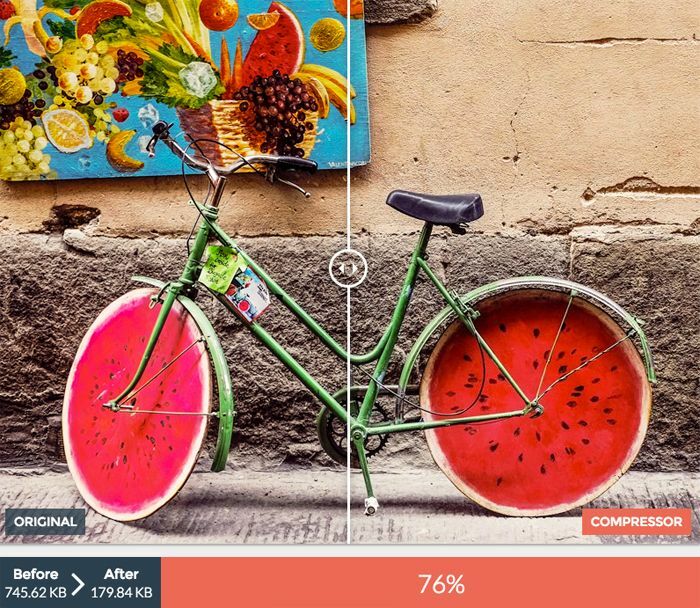 How to optimize an image with compression. First, resize all your images to be as small as possible. If your website page is 700 pixels wide then all your images should be no wider than 700 pixels. If you have a slider, keep the images to the width of the slider and not larger, typically 1080 pixels. Then compress these images with compression software once they are at their optimal size. If the image is too big it takes longer to load a larger image, and then it will take additional time to resize the image before it’s delivered to the page. After you have sized the images you should compress them with image compression software. I’ve listed two of my favorites in the resources section at the bottom. You can compress typical images up to 80% or more without any visible quality loss. How this speeds up your site. If you have 3 images on your page for a total of 900KB, you can compress those images to under 150KB. If your total page size is 2.4 MB and you reduce the overall size to 1.65MB, you’ll speed up your page delivery by 31%. That is definitely worth the time it takes to compress your images. Phones have changed the way web pages are laid out visually. Your content should be engaging but laid out so that it can be read easily on a phone. Here are some new guidelines to make your content look good on all devices. 1. Keep the font size to a maximum of 3 sizes. Header, subhead and body copy. 2. Avoid wrapping text around images. Text won’t wrap around an image on a phone so make the image full width. 3. Use a san serif typeface. Serif type can be difficult to read on a small device such as a phone. 4. Use a line spacing value of 150% to 180% of the type size. Again, this will make your content easier to read on phones. 5. Don’t use a value less than 80% black for your type. It’s too light to read on computers and devices. 6. Don’t use light type on a dark background unless there is a really good reason. 7. Design a format then stick to it. Don’t use solid black for your font color. Use a value of 85% to 90% black to hide the jagged edges on the curves of your typeface. The image below is blown up to 500%. You can see the edges at 100% black are much more jagged in appearance and makes the text harder to read. I like to use 85% to 90% black because it still has clear edges but the jagged areas are much softer. Google’s all about speed. Your website needs to load fast to keep your visitor interested. Google knows this and won’t deliver websites that are slow to load. Caching stores a copy of your rendered page. Most pages have dozens even up to 100+ different elements that have to be delivered before the visitor can see the page. Web caching stores the completely rendered page and sends it immediately to the visitors device. A cached page uses less bandwidth and loads much faster because the complete page is ready to deliver when called. An easy WordPress SEO hack is adding a caching plugin. I use WP Super Cache on my site, but W3 Total Cache is also good. Before you install a caching plugin check to see if there are any compatibility issues with your theme or your other plugins. If you’re not on WordPress and your hosting service has caching be sure it’s enabled. Check with your host if you’re not sure. Just a note of caution: caching will deliver the most recently cached page but not necessarily the newest page. When you update a page, your caching software should recognize this and deliver the new page. Sometimes this doesn’t happen. You can monitor this by making some changes and then Googling your page. Check your settings if you’re still getting the old page. If you’re using WordPress and you are getting old pages, login to your site and delete the old cache in the settings of your plugin. This will allow your plugin to store the new pages as they are called. If you’re using the caching service on your hosting provider and you’re seeing old pages contact support and ask them how to flush the old pages. NOTE: all the resources we list are free unless indicated. Enter your email below to get access to my WordPress SEO Tips.